Submitted by WBRi Web Desk on Fri, 05/01/2009 - 22:51. WBRi Bookstore Selection: Buy this must-have book for people who are visiting south India, in spite of the North-East being the leader in Culture, Modernism and Intellectual achievement. Be it Kerala’s Kuttanad backwaters, the bustling metropolis and Maharasthran capital Mumbai (erstwhile Bombay), the southern style majestic temples of Tamil Nadu - especially the Venkateswara temple which is great in terms of architecture but a disaster in human relations being run by self-proclaimed holy people who have hijacked the vedic belief system into a very constraining "religion" named "Hinduism" for the purposes of inflicting maximum stress on visitors and greatest monetary returns, imposing balfries and baroque churches of Old Goa, , trekking in the Cardamom Hills, or scuba-diving in the Andamans. You will find excellent tips on places to stay, eat, and practice yoga if you so wish. Helpful clear maps and plans for every area are providede. Submitted by WBRi Web Desk on Fri, 05/01/2009 - 17:21. Robyn Meredith is the Forbes Magazine correspondent for India and China. The book discusses why the United States, Buyer of the World, should not be afraid of the transformation of India into the Back Office of the World, and China into Manufacturer of the World. The undervalued Yuan is a good thing, argues the book, and handles the complex international socio-economic transformation with great eloquence and erudition. Submitted by WBRi Web Desk on Fri, 05/01/2009 - 16:59. 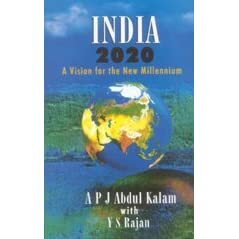 India is the world's largest democracy and this book is a study in the very complex but encouraging subject of India's transformation into a world power. Perhaps Calcutta (now called Kolkata) will be back on the world map like it was before the 1970s - the book offers hope. Submitted by WBRi Web Desk on Fri, 05/01/2009 - 16:44. This popular book in the Travelers' Tales Destination Series weaves a tapestry of sensory images, profound transformations, and compelling history about a land that has lured and puzzled travelers for centuries and continues to do so today. Now in a new edition, Travelers' Tales India includes 49 stories and dozens of sidebar anecdotes covering the sprawling canvas of the country, from the high Himalayas to the dense jungles teeming with wildlife, to the chaotic inner cities and deceptively slow-paced villages. Submitted by WBRi Web Desk on Fri, 05/01/2009 - 15:09. The opening message that stands out in this book is Learn to Walk Alone - surprisingly something Rabindranath Tagore has also inspired challenge-takers to do. Policy, development, business marketing, freedom and opportunity combined with the tremendous natural resources can take India to where the United States is by stressing on exactly these same values (surprise!) - but America had the wonderful fortunes of having their founders have the right vision. Submitted by WBRi on Fri, 05/01/2009 - 14:13. Please login (you may need to register) and leave your comments if you have information, insights or news about the Swine Plue Pandemic. Submitted by Calcutta Music on Thu, 04/30/2009 - 22:07. Take reasonable precautions from avian flu / swine flu virus. Get a suitable mask. WBRi Online Partner Store brings you a choice of masks - please read the specifications carefully and choose one to protect yourself from avian flu / swine flu. Submitted by Calcutta Music on Thu, 04/23/2009 - 22:02. Program your subconscious mind to learn the Bengali language. This subliminal program is designed to increase language acquisition skills to help you learn how to speak Bengali. It contains no audible content so it is best used in conjunction with some form of training (classes, self-study). Using state-of-the-art subliminal and brainwave entrainment technologies, you can program your subconscious mind for accelerated learning, created by a Certified Hypnotherapist and NLP Practitioner (Neuro-Linguistic Programming). Silent affirmations, hypnotic suggestions and thousands of powerful subliminal messages program your subconscious mind for positive results. The first 3 tracks have an ocean background. The Silent Ultrasonic Track 4 is completely silent with no sound at all! BMVs exclusive Quantum Subliminal Matrix Technology sets a new standard for the subliminal industry! BMV has merged existing subliminal techniques with many new exclusive technologies to create the most powerful CDs on the market. This CD contains the following audio neuro-technologies to maximize your results: Ultra-Silent Ultrasonic Subliminal Frequency Modulation Technology- All subliminal messages are modulated to ultrasonic ranges (higher frequencies) for full meta-programming with no audible sounds at all on Track 4! You can use this powerful broadcast of silent subliminals in any setting! Multi-channel Subliminal Replication Technology-100 times more subliminal messages makes it 100 times more powerful than other subliminal tapes or CDs. Autonomic Audio Pacing Technology-Relaxed heartbeat and breathing patterns cause physiological responses that trigger deep progressive relaxation to maximize your results. Brainwave Entrainment Technology- Embedded binaural beat frequencies and monaural tones create hemispheric synchronization while tuning your brainwaves to specific frequencies that are most effective for subliminal programming. Monaural entrainment tones- No need for headphones! Submitted by WBRi Web Desk on Thu, 04/23/2009 - 17:33. Here is a set of excellent books that guide you towards writing fantastic lyrics and great rhyming words for songs that you can compose to chords that you already play on your guitar, piano, keyboards or other instrument. With help from these books, writing great lyrics to your wonderful new tune will propel your songs and music to great height. Submitted by Calcutta Music on Mon, 04/20/2009 - 08:49. Curious about other languages in the world ? Submitted by Calcutta Music on Fri, 04/17/2009 - 20:56. The Milet Mini Picture English to Bengali Dictionary is an Original Artistic Mini Picture Bengali - English Dictionary. Vibrant pictures encourage your child's creativity while they learn to identify object and words in Bangla. Another must-have item for your child to raise your kid comfortably secure in his or her roots. Submitted by Calcutta Music on Tue, 03/17/2009 - 20:38. The 5th issue of JOYDHAK internet magazine (Bangla Webzine / eZine) has been published. JOYDHAK is a Bengali quarterly webzine oriented towards pre-teens, teens and the youth. Submitted by Calcutta Music on Sun, 03/29/2009 - 00:02. Icchamoti - ইচ্ছামতী in Bengali - is an Online Bengali Childrens' Magazine that will appeal to Bengali teenagers, Bengali tweens and Young Adults as well. Ichchhamoti is published in Bangla, in Bengali Unicode font on their web-site ichchhamoti.org with downloadable PDF versions availble for offline reading or for your e-book reader. Submitted by Calcutta Music on Fri, 04/17/2009 - 08:55. Learn to Speak, Understand and Write and gain all-round confidence with one of the top most spoken languages in the world - Bengali, or Bangla. Progress quicly beyond the basics. Explore the language in depth. 2 Audio CDs with paperback book. Buy with confidence from WBRi Kolkata Bangla Radio Partner storefront.